One cognitive error which commonly results in distress is to act on our opinions as though they were facts. 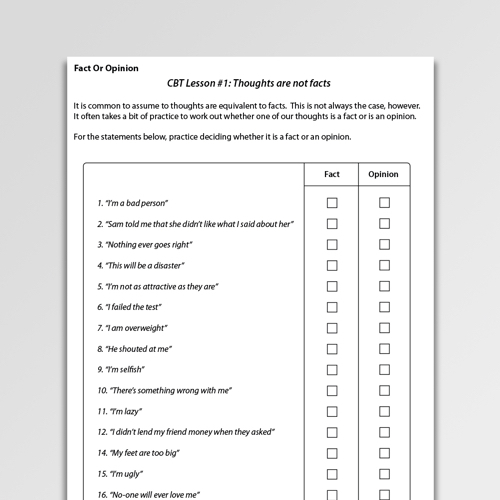 This CBT exercise helps clients to practice identifying the difference between facts and opinions. Much of the time we respond to our thought processes as if they reflect facts about the world, whereas they more often represent opinions or assumptions. 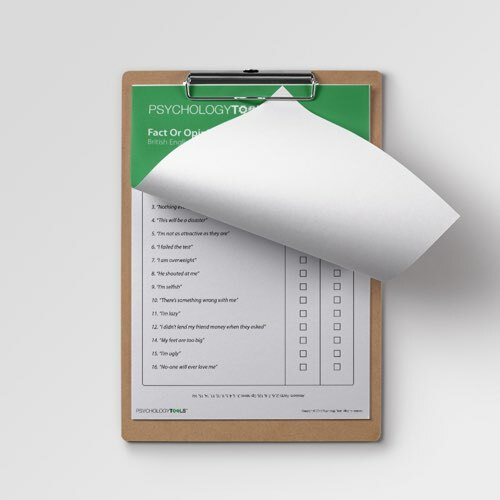 Being able to tell the difference between facts and opinions is a critical skill in cognitive behavioral therapy (CBT). 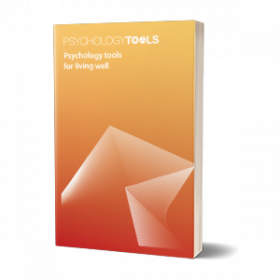 Balanced thinking comes from the process of challenging our thinking – analysing what it is that we think we know, and why it is that we know it. 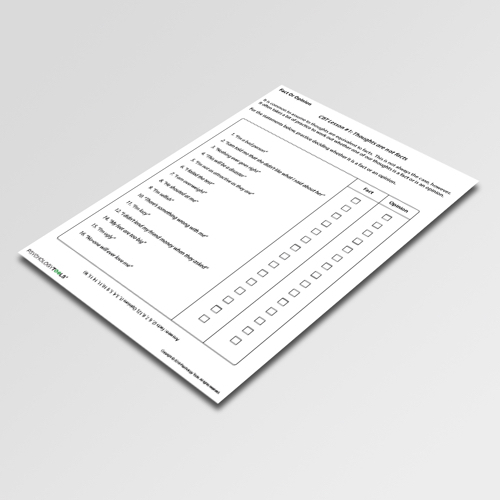 Fact Or Opinion is a quick worksheet which helps clients differentiate between facts and opinions – a useful starting-point in challenging their own thinking.